Little did Gainesville, Ga. resident, Marie Bartlett, realize the life that awaited her in tennis when she retired from teaching school in 2004. "I had no idea," said Bartlett, as she just wrapped up participating in a weekday clinic. "I taught school for 30 years and being retired was fun for the first six months as I kind of caught up with life." During this time, Bartlett's mother passed away at the age of 93, and she found herself missing interaction with people and having time on her hands. When her friend and former college roommate called her one day and said she talked to a tennis pro, and "he's going to teach us to play tennis." Bartlett's children had played tennis in high school, but she never had time to take up the sport on more than a part-time basis. "My grandkids were young; I was music director at my church and had other volunteering efforts, but I found I loved tennis immediately." Bartlett said she would go out on different nights of the week and play and started talking up tennis to her other friends, but her tennis fire was really ignited when her first USTA 2.5 team ended up making the state playoffs. "I was advised to start out at the 2.5 level to learn. The team I joined needed a captain, so I was the captain that first year, and we won our league. We had the best time at the state tournament. It was all so new, but so fun. I had new friends in my life. From there on, I moved from 2.5 to 3.5." Bartlett said she would drag her husband out to the courts for nighttime play and socials. "I wanted to play until dark, and I (realized) it gave me the opportunity to share something I loved with other people on the tennis court. He saw how sold I was on the program and how much I cared about tennis." She joined the Northeast Georgia Tennis Association as President and served in that role until giving up her post in 2017. "I like children, and I thought with the NEGTA, I could make a difference. I wanted to expose as many people as possible to the sport of tennis and that included making diversity a priority. Tennis is diversity. I wanted to bring diversity to our leagues." To get more kids involved, it was more of a challenge. "We could do some different things with the Boys and Girls Club in Hall County, explained Bartlett. "During the summer, we would bring kids onto the basketball court, since it was the only large flat surface we had available." Bartlett and her team brought tennis to PE classes and afterschool programs. She sought the advice of Andre Ferreira, the head tennis coach at Brenau University, to help make a difference in the Hispanic community. "The changing face of Hall County opened up opportunities," added Bartlett, who has nine grandchildren and recognizes what tennis and sports in general can mean in terms of education and life lessons to kids of all backgrounds. In Hall County, the percentage of school age children that are Hispanic sits at 43%. “It turned into a mission of (Bartlett’s) to increase participation of tennis in the community,” said Ferreira, who is a board member and now NEGTA President. "She combined her passion for tennis, children, and schools to launch several initiatives in our area targeting children, beginner tennis players, and diverse populations. In retrospect, it's remarkable to see how many kids and adults in North Georgia had the opportunity to experience tennis for the first time because of her efforts." "We had a goal to improve the tennis team at Johnson High School," said Bartlett. "We started a feeder program and clinics at Brenau and now award scholarships to high school seniors that played on the tennis team." 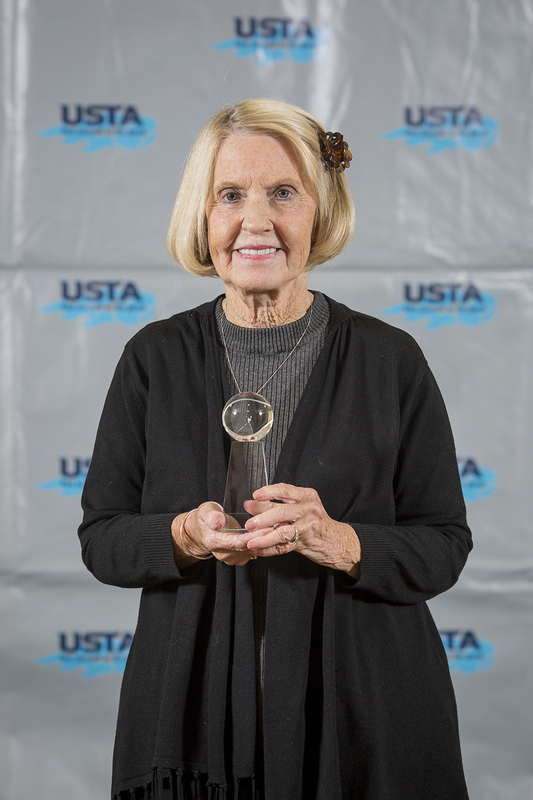 Her list of accomplishments includes the "Tennis in PE" program, which has earned grants from USTA Georgia and USTA Southern for 15 Hall County and Gainesville City schools, the "Tennis Friends" program and holding apprentice classes for any members with an interest in learning the fundamentals of tennis. Bartlett says she was lucky to have a strong support system behind her, and that was never more evident than when she had a stroke five years ago. "My family has supported me through all my tennis endeavors. I enjoy it; my husband plays golf, and he was glad I had something to do. Ever since the stroke, I limp a little, but I have great friends. It's a miracle I've recovered as quickly as I did. I couldn't use my right arm, but it came back." With rehab that started with writing, then playing the piano, she quickly made it back to tennis. She is still playing in her leagues and championing one of her new projects that brings kids on "tennis field trips to Brenau." "We organized a field trip to Brenau University for the schools teaching tennis in PE. The teachers selected the grade they would like to bring. Different schools were invited to come. We started with the Title 1 schools because the students at these schools had less exposure to tennis." The field trips included tours, Chick-fil-A lunches and the tennis instruction and exhibitions with the Brenau tennis teams. 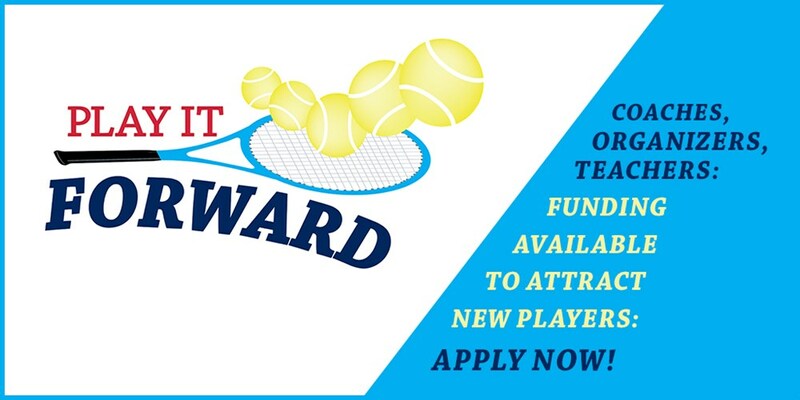 It's 2019, and Bartlett continues to spread the word of tennis being a family as well as a lifelong sport. Yet when she takes a second and reflects, it has become something personal and a passion. She sums it up in short. "I'd be miserable if it wasn't for tennis."